AMES, Iowa — Iowa State University is partnering with researchers at seven other land-grant universities to examine the economic and environmental benefits and costs of storing water from farm drainage systems for crops to use later and to reduce nitrate-nitrogen loss into waterways. The project, led by Purdue University, began this month and is funded by a $5 million grant from USDA’s National Institute for Food and Agriculture (NIFA). Matthew Helmers, ISU professor of agricultural and biosystems engineering, and many other researchers on the new water storage project are wrapping up work on a five-year, $20 million, multi-university, USDA-NIFA Coordinated Agricultural Project (CAP). That project, led by Iowa State, has been studying ways to make Corn Belt agriculture more resilient to extreme weather events and other effects of climate change. “The new team can get up to speed rapidly because we’re using a lot of the same approaches to collecting and managing data as we have for the CAP,” said Lori Abendroth, CAP project manager at Iowa State. The water storage research team will integrate historical and new data from more than 40 experimental sites in the Corn Belt. “This data collection is the largest and most complex ever undertaken for the region, which will allow for ongoing discovery and analysis on a broader scale than ever before,” Abendroth said. Drainage water control structures: Unlike conventional drainage systems, these systems conserve water by increasing its retention time in the soil profile, thereby delaying or reducing the draining of soil water. Saturated buffers: These store water within the soil of field buffers by diverting tile water into structures that raise the water table and slow outflow. 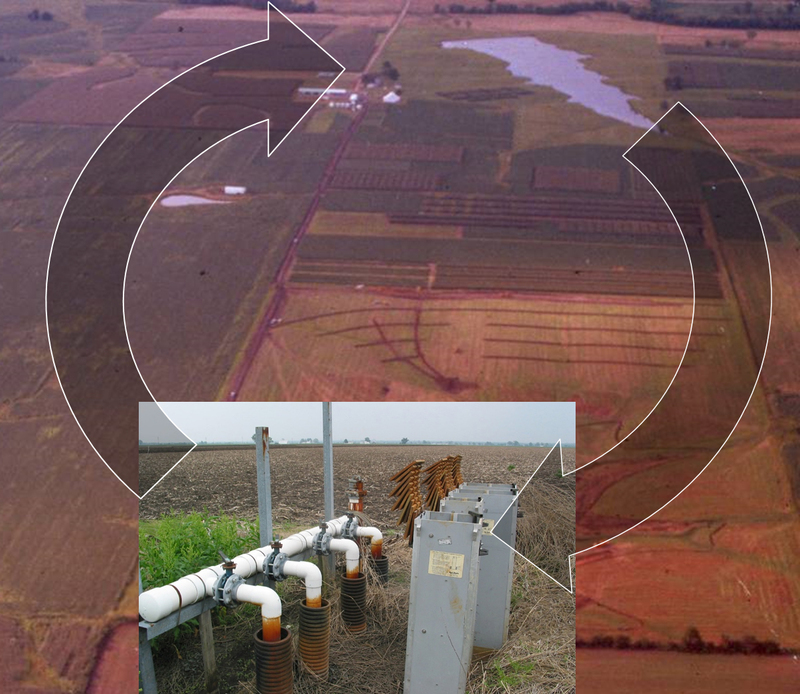 Reservoirs: With this "capture and use" system, subsurface drainage water is diverted into on-farm ponds or reservoirs, where it is stored until it is needed to irrigate crops. Team members will use project findings to develop extension and education programs, bringing new strategies and tools to agricultural producers, the drainage industry, watershed managers, agencies and policymakers. They also will help to educate the next generation of engineers and scientists designing drainage systems that include storage in the landscape. Other universities in the project, besides Purdue and Iowa State, are North Dakota State University, Ohio State University, University of Missouri, North Carolina State University, South Dakota State University and the University of Minnesota, as well as the U.S. Department of Agriculture's Agricultural Research Service. Rain falls irregularly and can be lost as subsurface drainage or surface runoff. Capture and use systems, capture excess water and convey it through fields to be taken up by crops.